This unbelievable black druzy set is truly one of a kind. So dramatic with sparkles that you cant imagine. 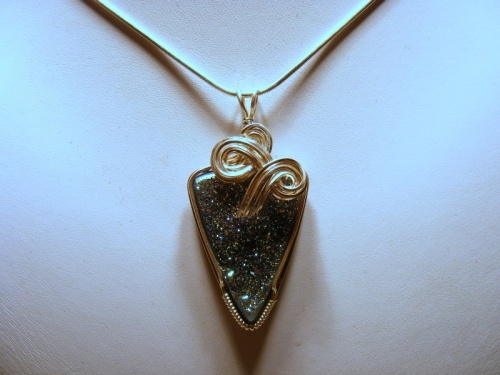 Picture doesnt do it justice - dramatic and elegant sculpted with sterling silver curls enhancing the beauty of the druzy.